Dan Biggar scored the decisive penalty goal in the closing stage as Wales registered their first win over Australia after edging them out 9-6 at Principality Stadium on Saturday. Australia started the game in an attacking fashion with Samu Kerevi running deep into Wales territory before a tackle from Gareth Anscombe stopped him. Wales had a chance to get their first points but Leigh Halfpenny missed a penalty goal in the 12th minute but he made amends when he kicked a three-pointer 10 minutes later as the home side got off to a 3-0 lead. The visitors had their chance when Dan Lydiate and Alun Wyn Jones were penalised for offside in the 34th minute and Bernard Foley kicked a penalty goal. Halfpenny had a chance to get Wales back into the lead but with his penalty kick going wide of the post, the teams headed into the break levelled with 3-3 scoreline. As the slug-fest continued, Australia were awarded a penalty goal in the 51st minute when Tipuric collapsed a maul but surprisingly Wallabies captain Michael Hooper opted to kick for touch instead of getting the lead with a three-pointer. Soon, Australia had another chance when Liam Williams played the ball on the ground but Hooper opted for another line-out close to the try-line but could not quite press on as Tolu Latu failed to find his jumper. Eventually the drought ended when Halfpenny with a 68th minute penalty goal took Wales into a three-point lead but seven minutes later Australia once again levelled the scores with Matt Toomua's penalty kick. 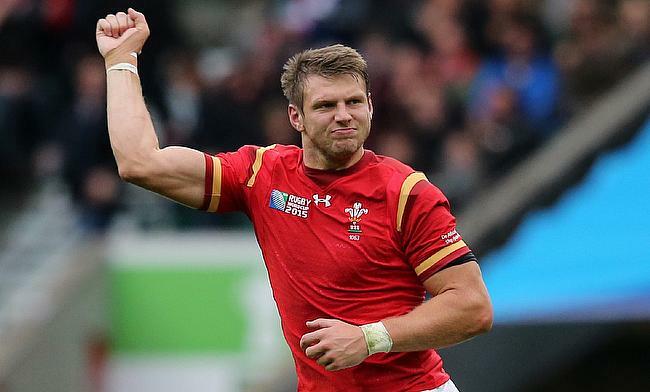 With just three minutes left in the game, Australia conceded a penalty to Wales after an infringement at breakdown and Biggar made no mistake as Wales completed a 9-6 victory.